The Active Living Program consists of free fitness classes 5 days a week. The classes provide an introduction to the sport so are suitable for all levels of fitness and are run at numerous picturesque locations along the Esplanade. 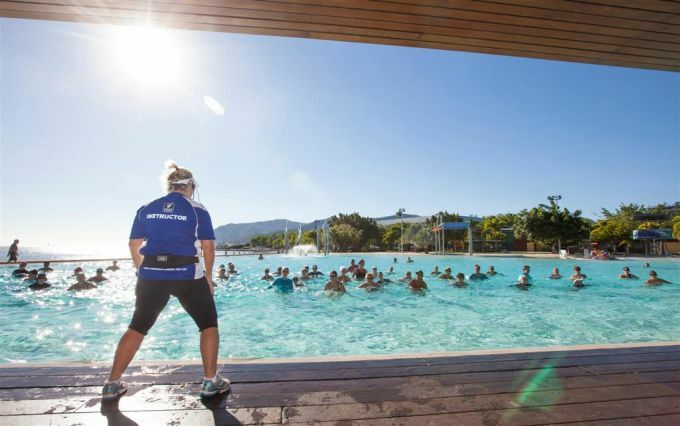 From Aqua Aerobics to Zumba Fitness there is something for everyone to try. Cairns Regional Council is inviting submissions from qualified fitness instructors wishing to be part of Council's Active Living Program from July 2018. This Introductory class is a combination of Yoga and Tai Chi Techniques. Splash your way into shape! Aquatic exercise is low impact, effective and fun.